Welcome to the website of Greater Mt. Sinai Baptist Church. GMSBC is a Christian church located at 1243 West Blvd. Charlotte, NC 28208 just west of downtown Charlotte. The Pastor, ministers, staff and members of Greater Mt. Sinai have been worshiping, teaching, preaching, and spreading the Gospel for over 80 years. We pray that our website will be a regular source of information and inspiration for visitors, members, and all of our brothers and sisters in Christ. Our church's vision is "Being A Full Time Caring Church That Searches for the Lost". 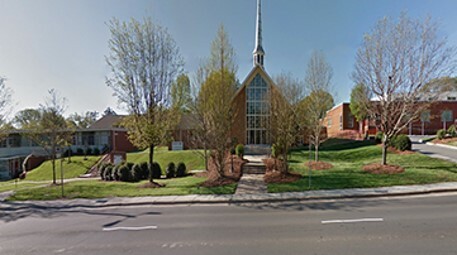 If you are new to Charlotte and looking for a church home - or would just like to visit, we invite you to join us for Sunday worship service at 8am or 11am, and Sunday School at 9:30am each week. Thank you for visiting GMSBC.org. You're invited to worship God with us at one of our two Sunday worship services. Are you a Visitor or a New Member? Learn more about the Greater Mt. Sinai Baptist Church family and why you should consider worshiping and serving God with us at GMSBC. Come join us this weekend April 19th - 21st, where we will have a special schedule of events to celebrate Easter. Please join us for GMSBC Women's Day on Sunday, February 24, 2019 at our 8 and 11 am services.